Wedding dresses don’t have to be elaborate to be stylish. These simple wedding dresses will make you love the minimalist look. 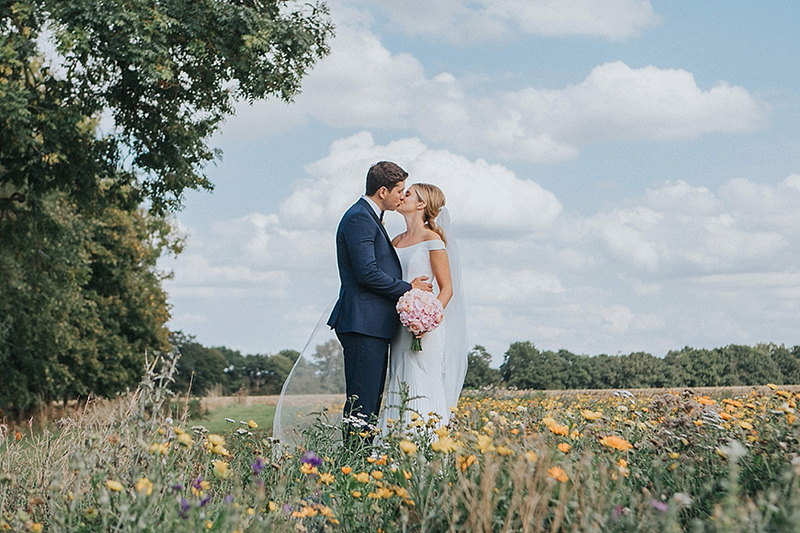 We’re going to be seeing a lot of stunning wedding dresses in 2019 and simplicity is going to be a big trend this year. After Meghan wore her stunning gown for her own wedding, simple wedding dresses have appeared in all the recent designer collections. Simple wedding gowns absolutely ooze style and they suit every style of wedding venue. Here’s our edit of simple wedding dresses that you just have to see. 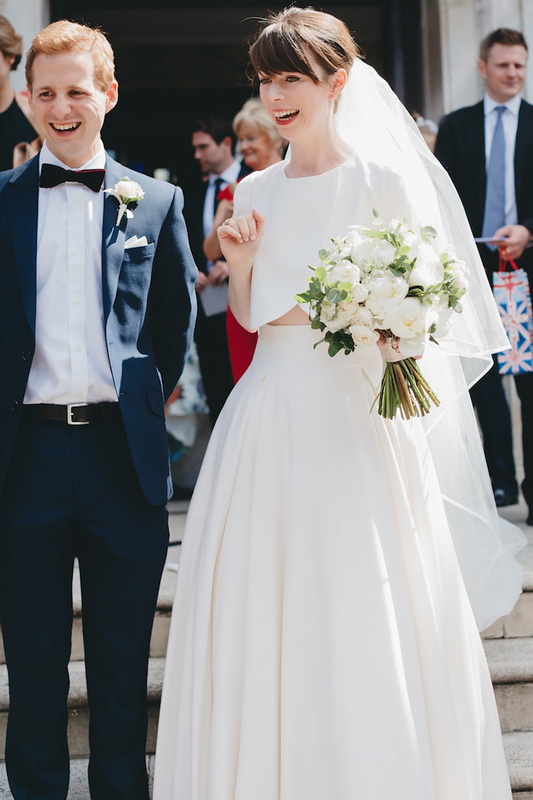 This elegant wedding dress epitomises stunning simplicity. The deep V-neck is a hot trend and the cut of this gown is absolutely perfect. We love the bride’s loose curls here and this creates a fab boho look. 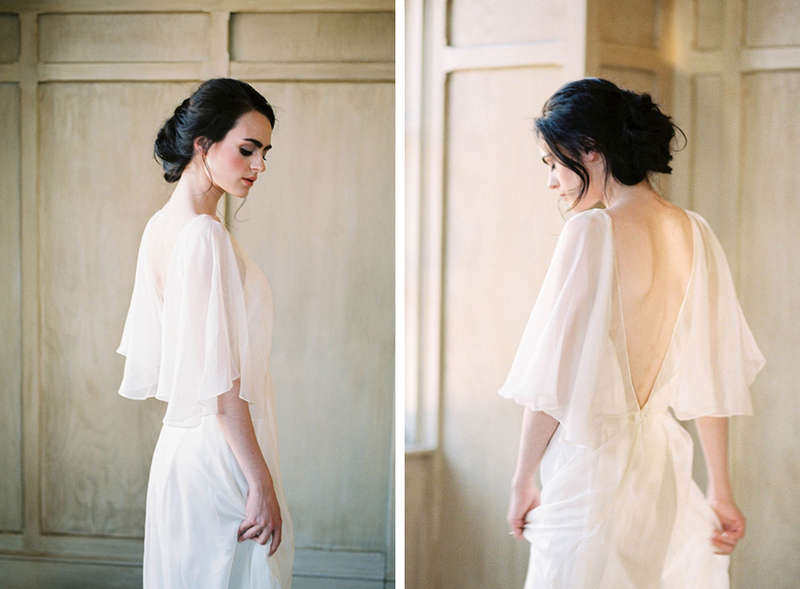 Simple wedding dresses can still make a statement as this dress with its gorgeous cowl back proves. The perfect fit of this dress, the sleeves and the buttons are a really elegant combination. The sheer edging on the neckline of this gown makes it one of our favourite simple wedding dresses. It’s a contemporary alternative to lace and really catches the attention. 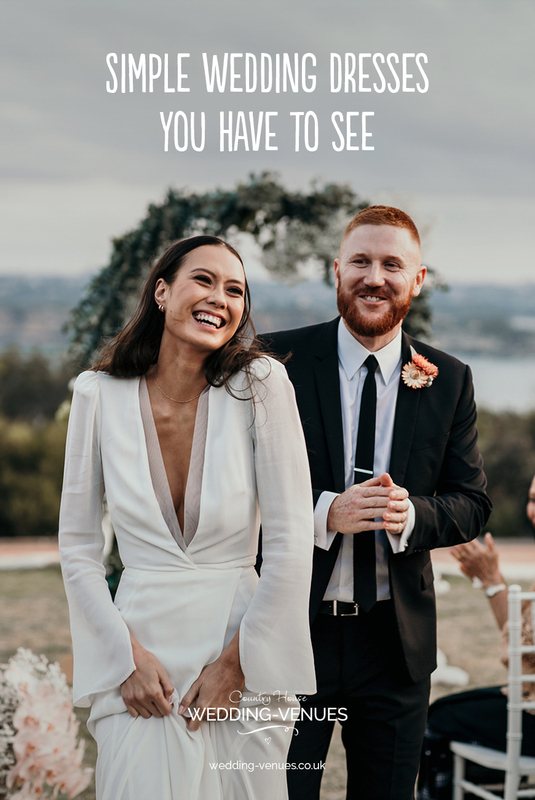 One of the best things about simple wedding dresses is that you can wear them with stand-out accessories and nothing clashes. 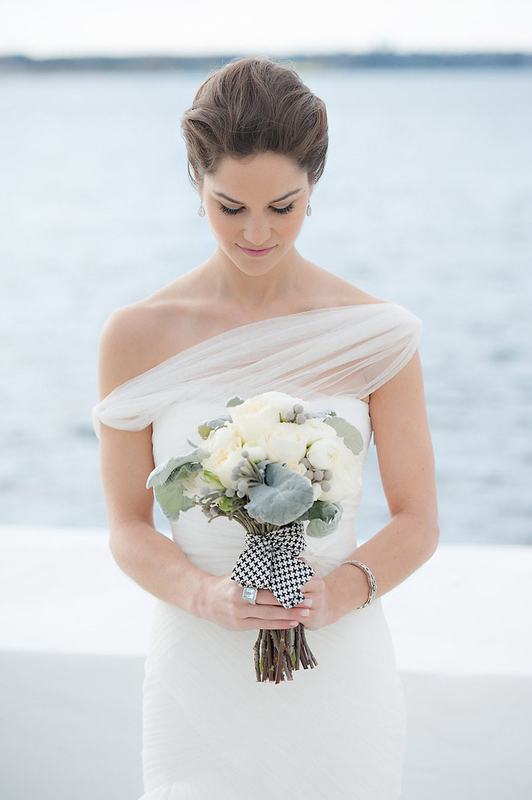 This amazing cape looks even better atop a simple gown. Laure de Sagazan designs the most exquisite simple wedding gowns and this design is no exception. The gathered waist creates real style and those short sleeves create a really unusual look. Have some fun with the shape of your skirt. The beautiful minimalist design of the top of this dress is complemented so well by the additional fabric in the fuller skirt. Another of the simple-yet-statement gowns, this dress has it all. The exposed back, the statement bow, the train – this is serious style. No embellishments, no embroidery and no glitz and yet this dress, with its wisp of tulle across the shoulder is as eye-catching as they come. As you’ve probably noticed, V-necks really suit this style of dress and so do sleeves. The light, diaphanous look of the sleeves here, coupled with the buttons at the wrist, is totally on-trend. Mimicking Meghan’s bateau-necked gown, this is another design that’s all about the simplicity. The elegance of this dress works really well with the formal groom. Express yourself with your accessories to bring your simple gown to life. 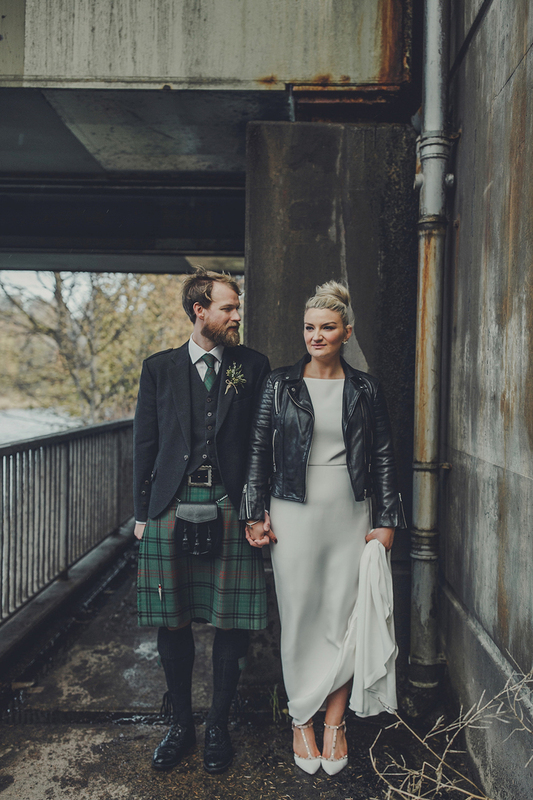 Brides rocking a cool leather jacket always attract our attention. The drama of this minimalist gown from Halfpenny London is all in those ruffled sleeves. The rest of the dress is so simple and that makes the ruffles stand out even more. If you want to embrace the trend for bridal separates, go for it. Simple styles look so great as separates. Lighter fabrics such as tulle can still work on simply wedding dresses. The cut has to be just right and the design is all important but a softer look definitely works. Finally, simple bridal style isn’t confined to simple wedding gowns. How about a minimalist bridal jumpsuit? 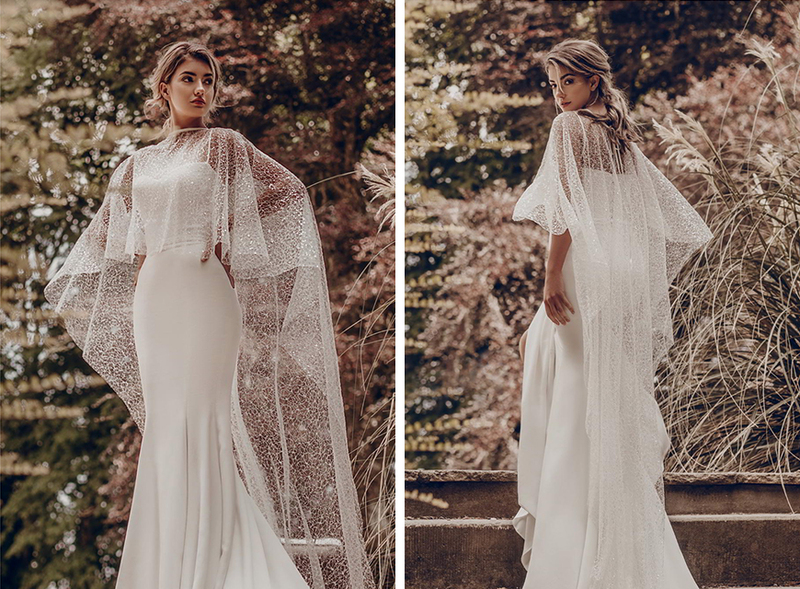 If simplicity isn’t your thing or if you’d like a longer look at the latest bridal fashions, don’t miss our guide to wedding dress trends for 2019.